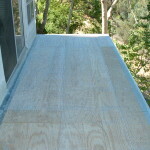 Many areas in San Diego County currently required a “Class A”, one-hour fire rated deck surface. 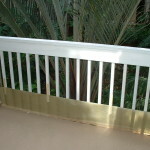 Deck Inspections – It’s much less expensive to fix and repair decks before major damage occurs. 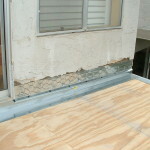 A small repair left unattended will eventually lead to major water damage, mold, and structural issues. 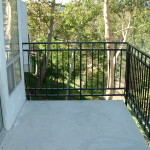 We provide yearly inspections and maintenance for many clients that saves them thousands of dollars in the long run. 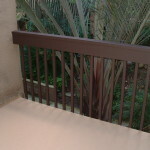 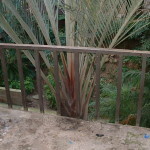 Deck Preventive Maintenance – Top coat/color coat should be inspected at least every 5 years. 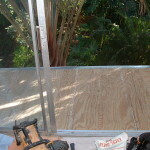 If any minor cracking has occurred reapply top coat. 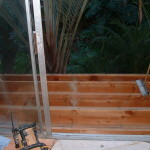 Complete Deck Repair – Remove existing damaged decking to joisting. 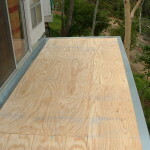 Repair any damaged joisting as necessary and install substrate (5/8 plywood). 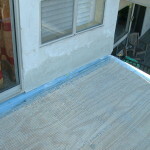 Install all flashings, and metal details, prior to installation of expanded metal underlayment with concrete mortar. 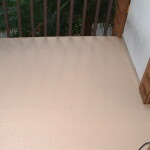 Waterproofing – When replacement is required for your roof top deck surfaces a “Class A”, one-hour fire rated, acrylic deck coating system is the answer to long lasting waterproof wearing surface that’s exposed to pedestrian traffic. 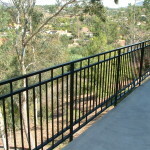 This system is a three-step process composed of a fiberglass-reinforced base coat, skid-resistant texture coat and an acrylic sealer.